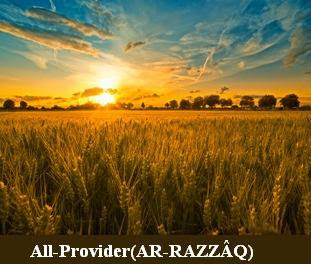 Verily, Allah is the All-Provider(AR-RAZZÂQ), Owner of Power, the Most Strong. 65. Say: "None in the heavens and the earth knows the Ghaib (unseen) except Allah, nor can they perceive when they shall be resurrected." 66. Nay, they have no knowledge of the Hereafter. Nay, they are in doubt about it. Nay, they are blind about it.